Get a men's inspired-look with the polished Mephisto® Felicita ankle boot. 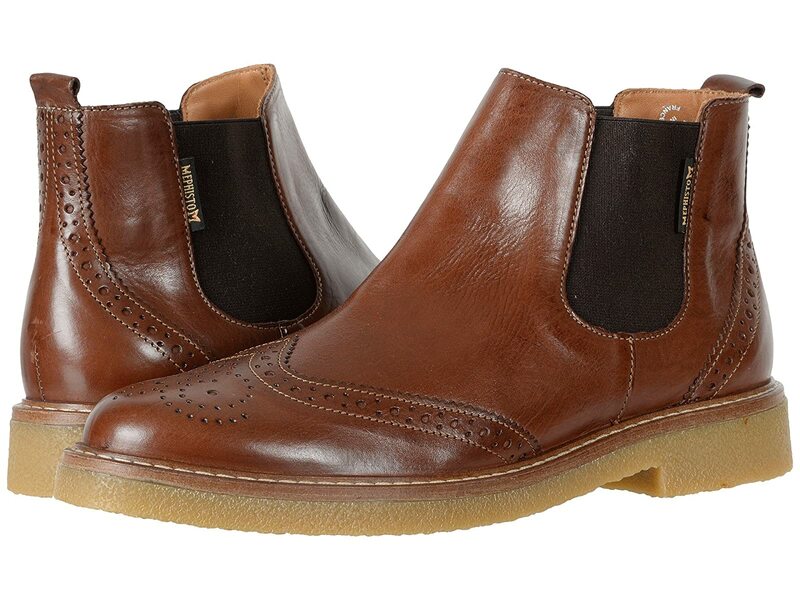 Premium leather or suede upper with a wingtip with brogue details and a round toe. Dual side goring with a heel tab for an easy on-and-off. Leather-lined, removable insole with integrated Soft-Air Technology minimizes impact with shock-absorbing cushioning.